Don't worry about the things in your life you can't control. Take Walt Disney's advice below. 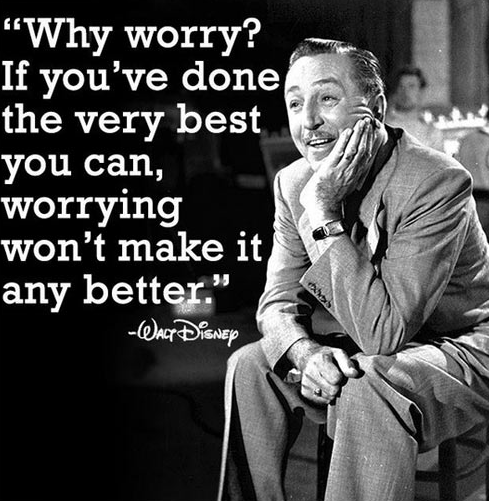 Because, if you have done your very best, there is nothing you need to worry about.